Steven Rosney, Luca Montone, Rachel Horan,Rebecca Lindley and Monika Sturmaite. TY1 students are raising awareness in the school community about the global issue affecting populations around the world. This issue is that of climate change. They have set up a pool with a large block of ice placed in it. They are inviting all students and staff to make a guess on how long it will take for this block of ice to melt. 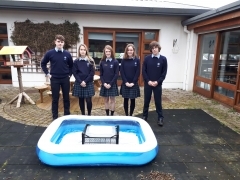 They are hoping this will stimulate debate amongst the school population about, how they, through their actions can have an impact on global warming and climate change. 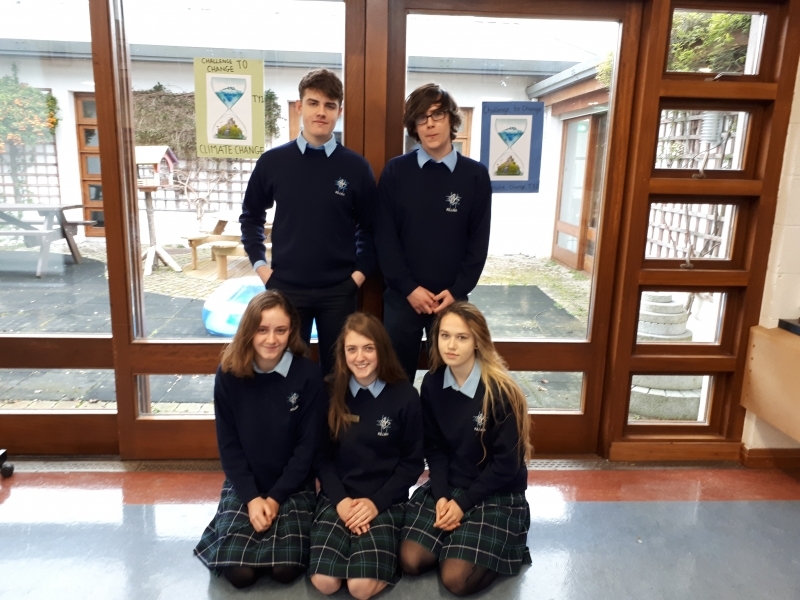 Steven Rosney,Monika Sturmaite, Rachel Horan, Rebecca Lindley and Luca Montone: TY1. Climate Change: We are running out of time, act now before it is too late! Standing infront of their block of ice.. how long will it take this block to melt? On Tuesday April 4th, TY1 continued with their campaign of raising awareness about climate change. 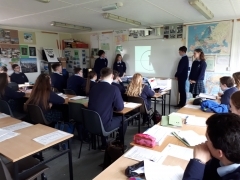 The teaching committee taught a 40 minute module about global warming and climate change. 1L, 2K, 3L, 3M, TY1,TY2, 5th and 6th Year Geography classes. Keep your ear to the ground and eyes on this school website, to see upcoming planned events.